Subject: Plate : 'Guerrier de Tonga Tabou.' 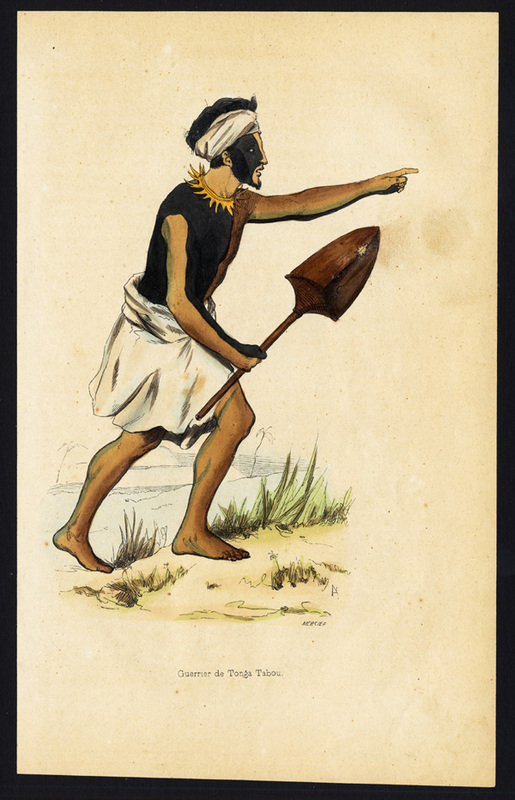 (A warrior from Tongatapu). Tongatapu is the largest island of Tonga. Size (in cm): The overall size is ca. 15 x 24.5 cm. The image size is ca. 12 x 18.5 cm. Size (in inch): The overall size is ca. 5.9 x 9.6 inch. The image size is ca. 4.7 x 7.3 inch.